Tremendous VG kick-start to the ever popular and elusive high-numbers. 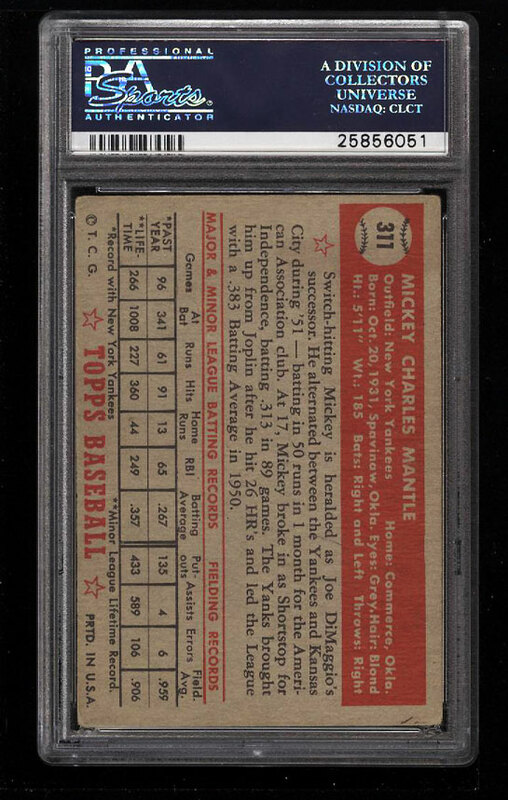 The offered PSA 3 displays attributes of a higher grade with brilliant print, color and focus. Boasts near flawless borders with wonderful edges and strong card stock for the assessment. Wonderful VG corners to boot. 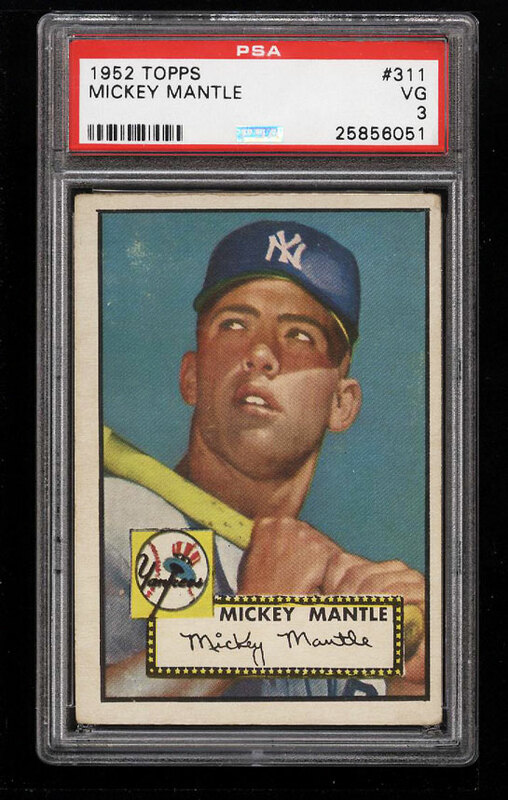 The '52 Topps Mantle is easily recognized among the most important sports cards in collecting and is exceedingly desirable among collectors. Deserving of attention. One of over 12,000 cards, lots and sets up for bid in our 11th Auction of 2017. Click on the link above to view the other PWCC auction lots.